The US presidential election only happens every four years. Make the most of this important election season by watching these five movies with White House scenes. 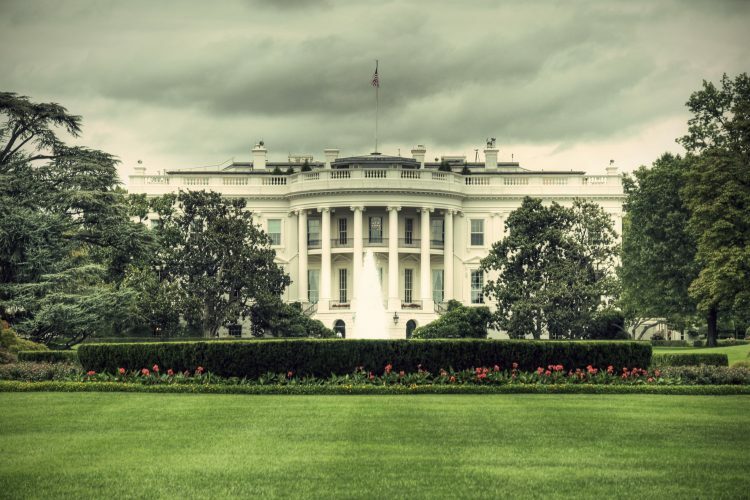 While these movies aren’t overly political, they do all share one iconic set: the White House. To keep it fresh, you’ll find films in a variety of genres. That way you don’t get as bored with these films as you do with all the election coverage on the news. So pop yourself some popcorn, get comfortable, and enjoy these films. The action in this 2013 film takes place all over the White House. You’ll watch a North Korean assault on the White House unfold. As the terrorists take over, it’s up to a disgraced Secret Service agent (Gerard Butler) to save the president. While this isn’t a family-friendly flick, it’s a great action movie with lots of shooting and suspense. This second film in the National Treasure series has Benjamin Gates (Nicolas Cage) once again searching for secret treasure. Along the way, he explores some famous places from American history. In this 2007 adventure flick, one of the hidden clues is in the White House. Of course, Gates has to go there and find it! Abigail (Diane Kruger) helps him avoid getting caught by distracting a guard. Forrest heads to the White House not once, but three times in this comedy-drama that won numerous awards in 1994. Because of the timing of Forrest’s (Tom Hanks) visits, he meets three different presidents during the course of the film. This movie is still widely quoted even though it’s over twenty years old. From “Stupid is as stupid does” to “Life is like a box of chocolates, you never know which one you’re gonna get,” this movie is full of great lines. So block out a couple of hours and watch Tom Hanks play one of his finest roles. Little Orphan Annie (Aileen Quinn) just wants a loving forever home in this classic family musical from 1982. The orphanage she’s in is horrible, and the caretaker, Miss Hannigan (Carol Burnett), is usually drunk. Then Grace Farrell (Ann Reinking), the secretary for Oliver Warbucks (Albert Finney) comes to fetch an orphan to help improve the image of the Warbucks company. Grace picks Annie, even though Oliver really wanted a boy. What Warbucks doesn’t realize is that Annie will work her way into his heart as they share adventures together. One of those adventures leads them straight to the White House, where they meet with President Franklin Roosevelt. Annie even gets him to sing the famous song, “Tomorrow.__” After catching this classic, check out the 2014 version of Annie! When Superman (Christopher Reeve) gives up his powers in order to date his love interest, Lois Lane (Margot Kidder), the powerless Clark Kent thinks all is good. Unfortunately, three Kryptonian criminals are also on Earth. Unlike Superman, they aren’t here to do good. At one point, they head to the White House and force the president to bow before them. Will Superman get his powers back in time to save the day? Watch this 1981 superhero move and find out! What’s Your Favorite Movie with a White House Scene? Chime in on the iRazoo Facebook page and tell everyone what other movies should be on this list.